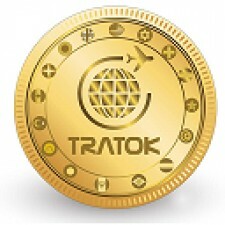 Tratok is about leveling the playing field, making travel easier and available to all. Nicholas Paillart brings with him over 10 years of loyalty and payments background to the team with a career spanning across Europe, South East Asia and the Middle East. As a Director at Singapore’s largest loyalty and payments provider, Nicholas was instrumental in setting up and managing some of Asia’s largest loyalty programs in travel, hospitality and banking. He then used his expertise in the Middle East where he formed the backbone for the Middle East’s first network dining loyalty program. Nicholas was also hired by MasterCard’s Card Services to secure travel and hospitality network cardholder privileges for the Elite and World Elite programs. A member of the Rotary Club of Dubai and Regional Manager for the Bring Hope Humanitarian Foundation, Nicholas never hesitates to leverage his network to secure medical and humanitarian aid for displaced peoples across the Middle East and Africa. Nicholas also serves as Delegate General of the Souvenir Français, a public utility organization dedicated to honoring and transferring the memory of those who gave their lives for France. Mr. Paillart begins his duties with immediate effect.